The Ministry of Foreign Affairs of the Kingdom of the Netherlands has awarded VFS Global the global tender to provide visa services in eight out of nine regions worldwide. It will operate for the Netherlands government in Africa, North America, Central and South America, Asia and Pacific, Eastern Europe, the Middle East, Western Europe, and India. VFS Global has worked with the Ministry of Foreign Affairs of the Kingdom of the Netherlands since 2006 and will provide Schengen visa services, Caribbean visa services, long-stay national visas, Dutch Travel Documents and Civic Integration Exams under the new contract. Chris Dix, Head—Business Development, VFS Global, said, “VFS Global is delighted that we will continue to serve the Netherlands Government. We have enjoyed a strong partnership with the Netherlands Ministry of Foreign Affairs for well over a decade, and welcome this opportunity to enhance our service capabilities on their behalf. 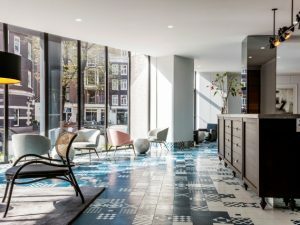 We look forward to opening our facilities in 40 new locations to offer Netherlands visa applicants best-in-class visa solutions and a seamless application process.” Since August 2018, VFS Global has signed visa service contracts with nine existing and new clients, and governments from Europe to extend their visa service network. This includes contracts to provide additional visa services for client governments such as Belgium, Estonia, Germany, Hungary, Italy, Lithuania, Slovenia, Slovakia and The Czech Republic.